“Beatnik” is the first example of Hirshman producing caricatures not dealing with public figures (even in his 1949 “Self-caricature” he was a public figure among his peers). Instead, he started caricaturizing archetypes and stereotypes, in this case beatniks, who like their beat-generation predecessors and hippie successors, shunned the norm in dress (the checkers sunglasses) and music (harmonica mouth). 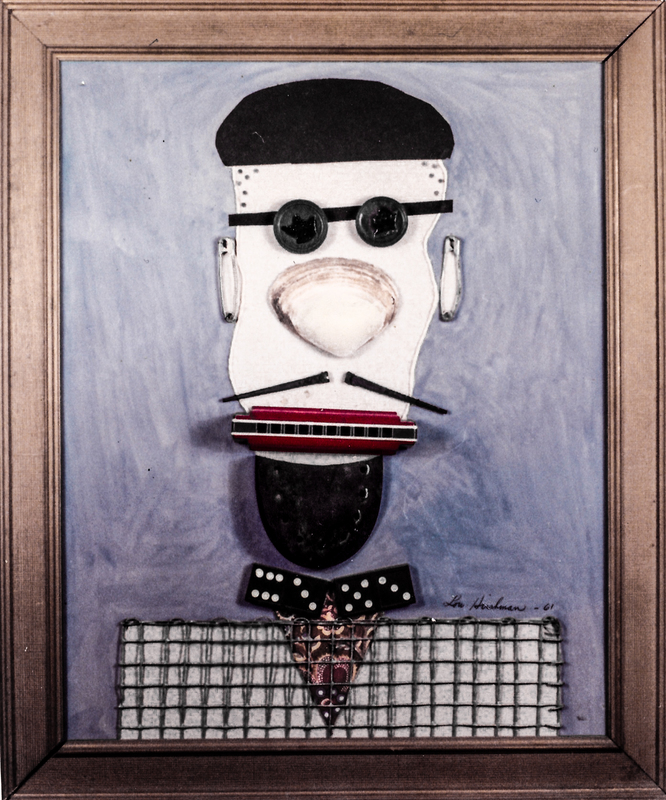 While in no way a beatnik, Hirshman was still an artist who went his own way. This is the first time Hirshman, who had always signed his name in block letters, used script, a form he would use several times over the coming decades.